Are you showing the love this Mother's Day? Our best waitress in the restaurant, Val (aka Mum) won't be getting much love this Mother's Day. As this is our busiest day of the year at Lou Miranda Estate Restaurant she will be too busy working to realise that she has missed out on the lashings of love. When we were younger we would surprise mum with pancakes in bed (and a mess in the kitchen) for the special day just reserved for her. The excitement of hearing the batter sizzle in the pan and the mixture puff up forms one of my first Mother's Day memories. As the youngest in our family I wasn't allowed to be near the stove so I would have a small step ladder and peer over my sisters shoulders while they prepared the meal. 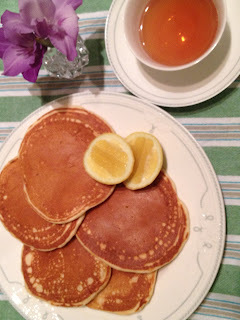 Rekindling my childhood memories here is the recipes for Mother's Day pancakes (and they taste pretty good any other day of the year). Mix all the ingredients together with a mix master. Place a smaller amount of copha or olive oil in a warm frying pan. Scoop a soup ladle full of the batter into the warm frying pan. The first few pancakes will either be undercooked or overcooked, these are called testers and are souly reserved for the chef, depending on the heat adjust your burner so the pancakes form a golden brown crust. 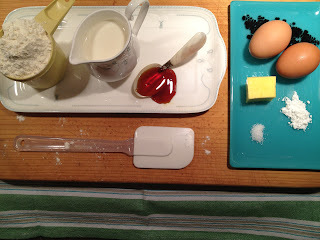 This recipe will make a really thick batter to get a more runny consistency add extra milk. 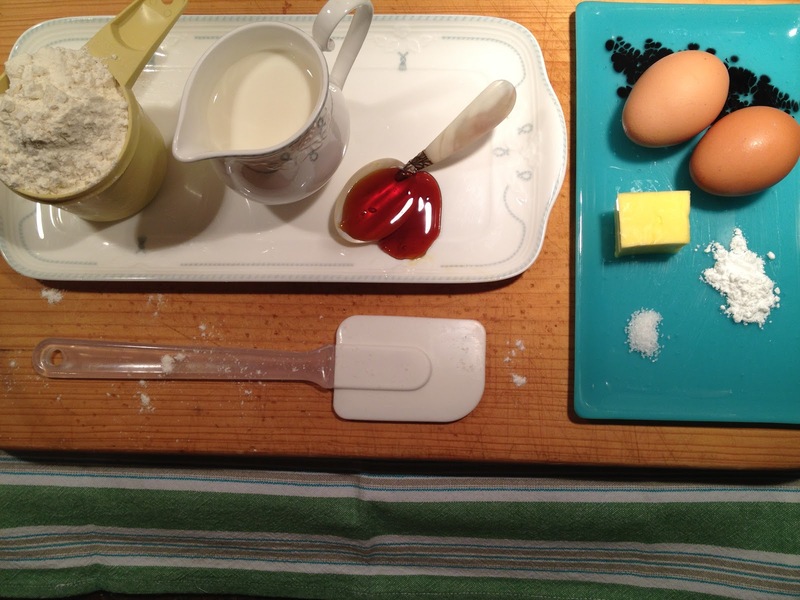 If you add too much milk the batter won't hold together, the consistency should be similar to golden syrup. Mum normally likes to eat her pancakes with maple syrup and ice cream whilst my personal preference is with lemon juice and sugar. Other options are strawberries and cream, maple syrup and crispy fried bacon, jam and cream, poached fruits, goodness the list goes on and on. I would like to introduce you to Gordon Moore. Gordon has been a cooper for over 40 years, and has been coming to see us every year around this time to prepare our old oak barrels for a new vintage. Gordon works by him self and travels around Australia offering his Coopers services to wineries. Gordon has come today to shave off the 'top skin' of the barrel. After we have aged red wine in the barrels for one to two years the inside of the barrel is stained from the wine and no longer permiates an oak into the wine. In order to breath new life into the barrels we shave off the top layer and it is 'as good as new'. We use these second hand barrels for our premium wines, while all super premium wines are placed into new oak every year. One of the staves after Gordon has shaved the top layer off. 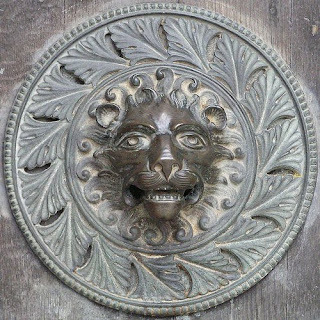 Cooperage is a craft that has been around for many centuries. The craft has changed little since its invention which means it is a labour intense job and not very inviting to the younger generation. If you are visiting the Barossa I recommend you visit The Keg Factory, they sell a variety of different barrels and depending on when you visit you can see the Coopers in the workshed producing a range of products for port barrels to cheese platters. Happy new year to everyone. I hope you have all had a wonderful Christmas and New Year. The time for me has flown by. We had a very enjoyable family Christmas in Griffith NSW, it was great to catch up with the whole family over a massive lunch and lots of drinks. We also had a really big New Years with a pig and a lamb in the spit, good friends who visited from Sydney and a few from Adelaide, not to mention indulging in some amazing wines over the break. I have taken some notes on the wines and will post a few bits and pieces later in the month. 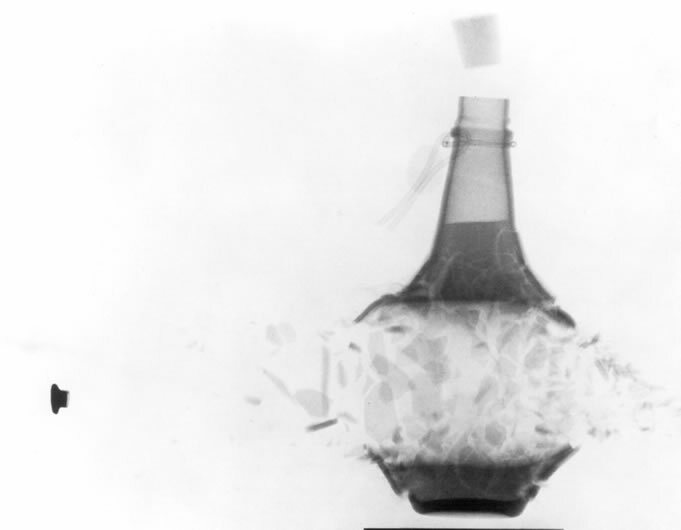 For now I have just come across this really interesting way to open a bottle. I hope you enjoy! Boutique wineries can offer wines of excellence for consumers at value for money prices. 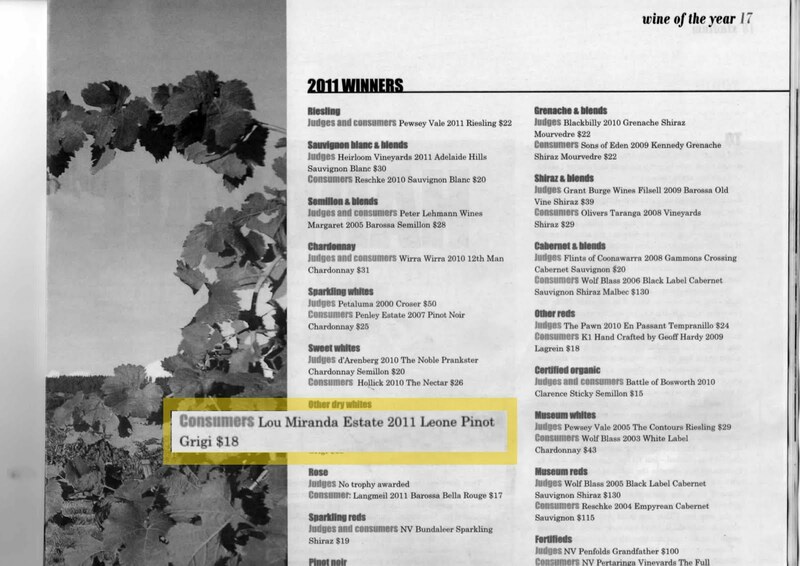 The Leone 2011 Pinot Grigio was awarded the consumers choice for its category at last Friday nights SA Wine of the Year Awards. Produced by Lou Miranda Estate, a boutique family owned and operated winery in the Barossa Valley, the Pinot Grigio is produced from a single vineyard on the Estate. This wine represents outstanding value, at $18.95 RRP which is a very consumer friendly price. The Leone Pinot Grigio has been crafted with your enjoyment in mind. Its fresh clean palate of citrus and pear is extremely food friendly. The generous fruit flavour and lovely balance ensures this wine is the perfect summer companion. The results have just been announced for the Decanter World Wine Awards and the International Wine Challenge and Lou Miranda Estate fared very on the world stage. Last year I spoke with an interesting gentleman about our Old Vine Shiraz vineyard which is located in between the winery and the neighboring church. 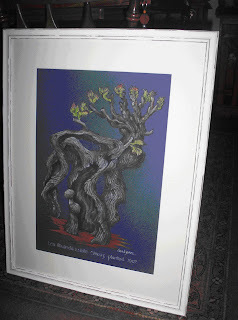 The gentleman, who turned out to be a very well known South Australia illustrator, Mr David James Stokes, was putting together a special exhibition of various old vines from the Barossa Valley. We happily agreed to have one of our old vines illustrated and displayed in an exhibition which was held on Sunday the 5th December 2010 at the National Wine Centre. It is a gorgeous illustration which has wonderful personality! As it was drawn in the early months of spring David has been able to capture the new sprigs of life which are beginning to form. I would like to introduce you to a new grape variety called Sangrantino. We planted a small vineyard of 1 hectre in 2009 of this grape variety on our Rowland Flat, Barossa Valley property. 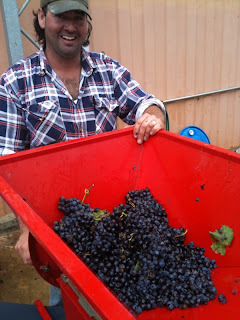 2011 is the first year we have picked the grapes from these still small and delicate vines. We have managed to crush about 50 litres for our first vintage which we are very excited about. For a small batch like this we do everything by hand, picking, crushing & loving care. 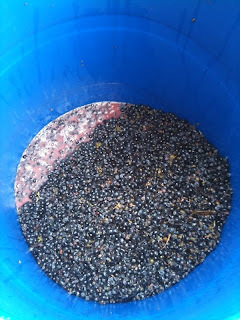 I will continue to post photos of the Sangrantino as we slowly work through the winemaking process. The Sangrantino grape variety hails from Northern Italy and is a soft but a flavorsome grape variety. I found this interesting image of a bullet shattering a wine bottle. I love that the photographer included the cork which flying off the top. Great photo! 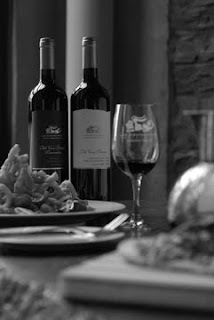 Lou Miranda Estate invites you to join us for a four course dinner on Saturday 21st May 2011 to celebrate Winter in the Barossa. payment must be made with the booking. When I was about 20 years old my girlfriend and I spent 1 month traveling around Europe, a majority of the trip was taken up with visiting churches and admiring art. We traveling over the Christmas and New Years period of our university holidays so it was the dead of winter in Europe. We were constantly drawn to the churches as we traveling from town to town, sometimes spending hours in them waiting for a snow storm to pass or accidentally finding ourselves in the middle of an organ rehearsal. After studying art history in Year 12 and focusing my attention on gothic architecture and its comparison to the Bauhaus movement seeing these magnificent structures in person was a highlight of the trip. 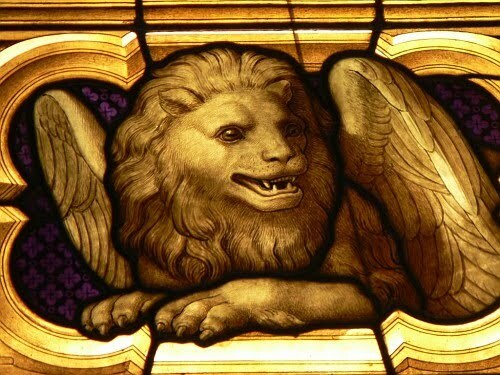 What I absolutely loved about the churches was how impossibly dark and imposing they were and yet beautiful light would dance and filter through the stain glassed windows. Here are a few photos I wanted to share with you of the Lion's in the stain glasses windows. 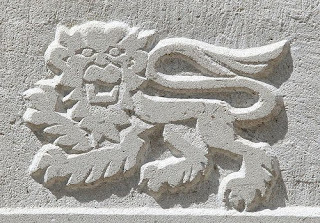 I found a lovely collection of Lion's today on Flickr. 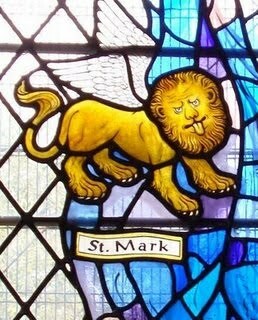 I particular like the image above, he has a beautiful face & years of rubbing his nose have kept the bronze a beautiful shiny gold. I think it gives the lion a more human touch, like a dogs nose that is wet when it is healthy. The photos were taken by Leo Reynolds, you can check out his entire collection at Flickr, he has some great albums with beautiful photography it is definaltely worth looking him up. Join us at Lou Miranda Estate for 'The Knowledge of Fortifieds' a program running in conjunction with The Barossa Vintage Festival. From the 23rd of April to the 1st of May the Barossa will come alive with festivities being help throughout the valley. The Knowledge of Fortifieds will run from Saturday 23 April to Sunday 1 May. Starting at 11.15am sharp every day, the program will run for 45 minutes. To see more information on The Barossa Vintage Festival you can view the program here. On a recent surf through cyber space I found this cute blog by Janet & Nick at 'Our Cheeky Fat Trip' which I believe is about the holidaying adventures of Janet & Nick, the photo and the quote are from the site which you can check our here. "My favourite though is Lou Miranda Estate, where we’re treated to some free churros (mmmm) and I get an unusual bottle of sparkling Shiraz." It is really lovely to hear from customers and know that people are enjoying coming to visit us at Lou Miranda Estate. It's that time of year again and the results are in and we have had a very successful award season. 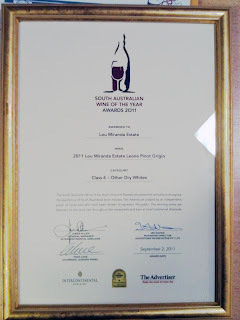 Lou Miranda Estate 2008 Cordon Cut Shiraz "Bronze Medal"
Leone 2008 Cabernet Sauvignon "Bronze Medal"
Leone 2010 Chardonnay "Bronze Medal"
Leone 2010 Pinot Grigio "Bronze Medal"
Leone 2010 Sauvignon Blanc "Bronze Medal"
Lou Miranda Estate 2008 Cordon Cut Shiraz "Silver Medal"
Leone 2008 Shiraz "Silver Medal"
Lou Miranda Estate 2008 Cordon Cut Shiraz "94 points"
Lou Miranda Estate 2008 Old Vine Shiraz "93 points"
Leone 2008 Shiraz "93 points"
Leone 2008 Cabernet Sauvignon "93 points"
Leone 2010 Chardonnay "85 points"
Leone 2010 Pinot Grigio "85 points"
The Barossa is famous for its wine and food, and now with the extension of the Barossa Bike Trail from Nuriootpa to Angaston, we are keen to promote the Barossa as a cycle tourism destination, but need your help! To celebrate the Tour Down Under - Stage 1 in the Barossa Valley, Tourism Barossa Inc have partnered with the Barossa Council to organise a fundraising ride from Tanunda via Nuriootpa and up to Angaston. On the morning of the Stage 1 finish of the Tour Down Under, Tuesday 18 January 2011, you, your family & freinds can participate in this wonderful event. The cost to participate is $5pp which will be donated to the Cancer Council SA, and includes a drink and piece of fruit kindly donated by Tanunda Foodland. Everyone is invited to participate in this community initiative to help raise funds for the Cancer Council SA and showcase our new bike path through the Barossa. If you would like to participate similpy download this form and forward onto Barossa Tourism. 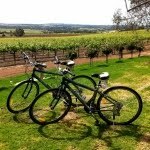 If you don’t have a bike of your own, Barossa Bike Hire have put together a package which includes the registration fee and the hire of a new and comfortable bike for $30, all can be booked on Barossa Bike Hire’s Website. Bikes will be collected at the end of the riders and can be transported back to Tanunda by arrangement. Please read through the terms and conditions for the event. 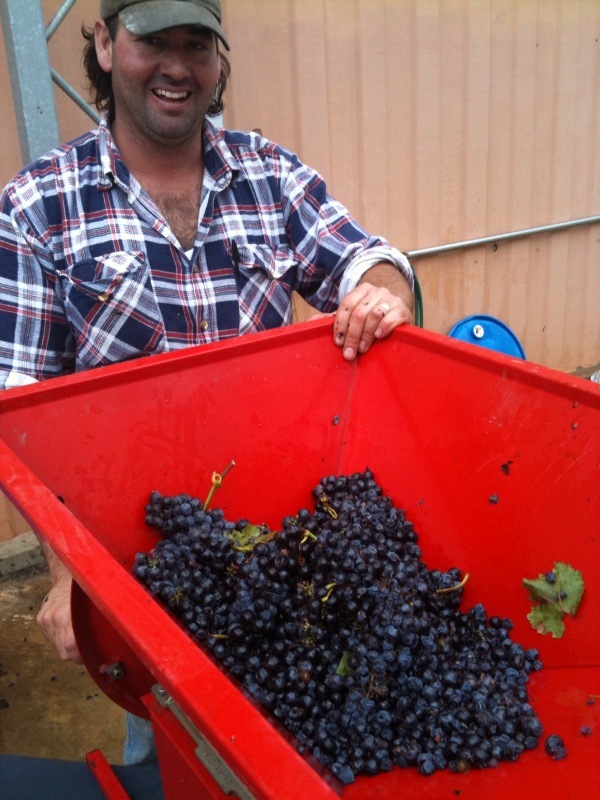 From the 1st January to the 26th January a group of Australia winemakers are asking you to only drink Australian Wine. It is just a bit of fun for the month of January and a good way to celebrate Australia Day. If you would like to find out more about the 'All for 1' movement please visit www.allforonewine.com.au today and make your pledge, there is even a page for the 'sinners' to confess their sins. On the Saturday, the 11th of December 2010 we hosted the wedding of Mr & Mrs Asher at Lou Miranda Estate. It was a beautiful cool evening, Lauren had provided beautiful candles and fairy lights to decorate the room and all the guest were in for a great night, which I believe didn't end until the early hours of the morning at a Gawler pub 'The Exchange'. 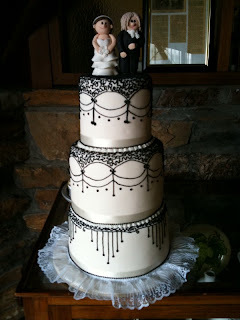 I would like to share with you their beautiful wedding cake which was topped with a gorgeous caricature of the new couple. From the staff at Lou Miranda Estate congratulations once again to Mr & Mrs Asher, we wish you all the best for your future together. 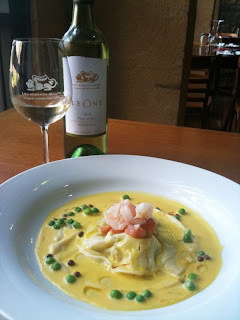 We have just received a wonderful recommendation from the Everything Barossa Blog. 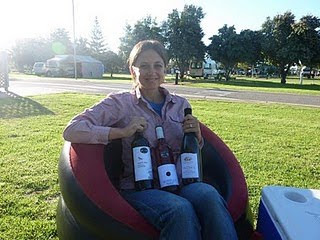 It is a great website created by Tania Shirgwin on all things in and about the Barossa. So if you are planing a visit to the Barossa or would like to get connected with Barossa businesses you definately need to put this one high on your links. 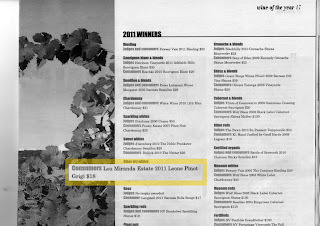 The 2011 edition of James Halliday Australia Wine Companion has just been released and Lou Miranda Estate has been awarded 4 stars as a winery, we also received some fantastic results on wines. Don't forget if you live in the UK can you purchase these wines from Hard to Find Wines! Lou Miranda Estate invites you to join us for a four course dinner on Saturday 28th August 2010. 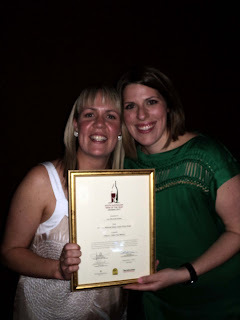 This weekend we will be showcasing 4 Shiraz wines at the Edinburgh Hotel Great Shiraz Tasting 2010. The Shiraz tasting is open to the public from 11:00 until 4:00 Sunday 27th June 2010. There will be over 300 shiraz for tasting from all over Australia and entry is $30.00 per person which includes a large souvenir tasting glass. It should be a great day, we hope to see you there. 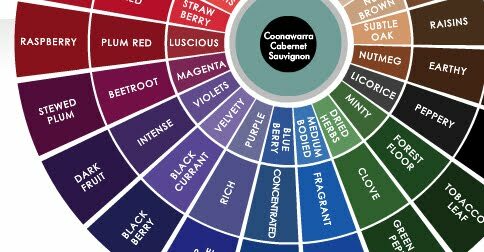 I have recently discovered this great website produced by the Australian Wine and Brandy corporation to help people better understand wines. Visit Regional Heros to see information on Tasting Charts, comparing wines and guides to tasting wines. Its a great website which is fun to use - try the Comparing wines sections, as the flavour of the wines float around the page you need to identify which fits the description and catch them if you can. Miranda Restaurant in the Barossa Valley will be serving their new winter menu from the weekend of the April 16, 2010. Situated in beautiful surroundings arched windows which frame the wineries cellar door. The views from the windows are of vines dating back to the start of the 19th century. Miranda Restaurant is sure to impress group of holidaying friends, a family lunch or a casual business meeting. Now in it's 6th year of changing the menu has become a way for our Restaurant to express changing trends and showcase the availability of fresh produce. The winter menu incorporates home style cooking with an Italian touch You will find Walnut & sage flowerpot loafs baked daily along with Corn bread served with minted peas and heartwarming Beef espresso pie. By using family recipes (with some modern adjustments by the chef Alison Short) Nonna's beef ragu we are re-creating the homestyle food for our patrons. We have also introduced some new starter dishes to share at the table or to be enjoyed in the lounge area with a glass of vino. Click here to see the new menu to titillate your taste buds. Open 7 days a week for lunch from 11:00 to 3:00 please call 8524 4537 to make a booking. The Barossa is hosting a half a marthon on the 16th May 2010. If you are up for it, you can walk or run 21.2km, 10km or 5km register online today. The race starts and finishes at the Faith Luthern school, you are able to download the course map here. I am still debating if I will run, the thought of being in constant motion for 5km (or at the pace I run several hours) makes me want to hibinate for winter. My heart rate just started race. 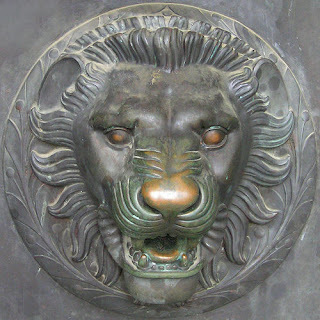 Hi, I am the Lou Miranda Estate 'At the table' blog host. 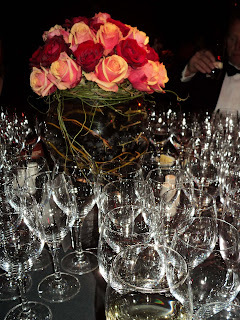 I have an active interest in food and wine which I would like to share with you on this blog & hope that you will also share your stories with me.